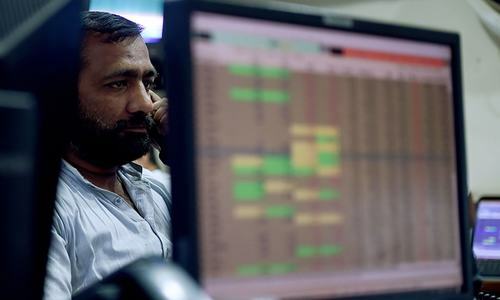 The Pakistan Stock Exchange's (PSX) benchmark KSE-100 index on Friday snapped a four-day losing streak, gaining 485 points to close at 42,446 points. 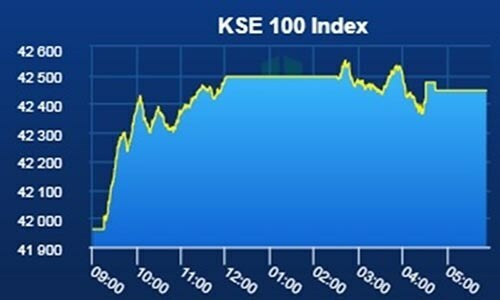 Ahead of the prime minister's elections in the National Assembly, the bourse, which had shed almost 700 points in yesterday's session, was bullish as soon as the market opened today, gaining 450 points within the first hour. When the market resumed after the break, the market's day gains reached as high as 577 points. However, it eventually settled at a positive 485 points for the day — a percentage growth of 1.16 percent. 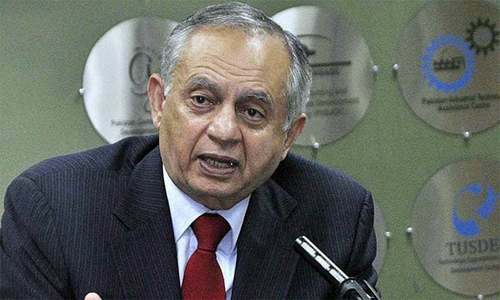 In all, 111.8 million shares worth Rs6.1 billion were traded at the exchange. First signs of economic upswing. State has been creating such impressions in the past also. In the 3rd world countries, gov can lift stock market on a specific day through institutional buying.